Back on February 1st, I had a good friend of mine request a forecast for the period of February 19th and 20th in St. Louis. At the time, I was working a ton of overtime and couldn't get back to her right away. However, on February 3rd I responded. Here are the BSR depictions on February 2nd for the 19th and 20th. Note the troughs over the NW and NE with a ridge between. Note the Southerly to Southeasterly flow at 500mb. 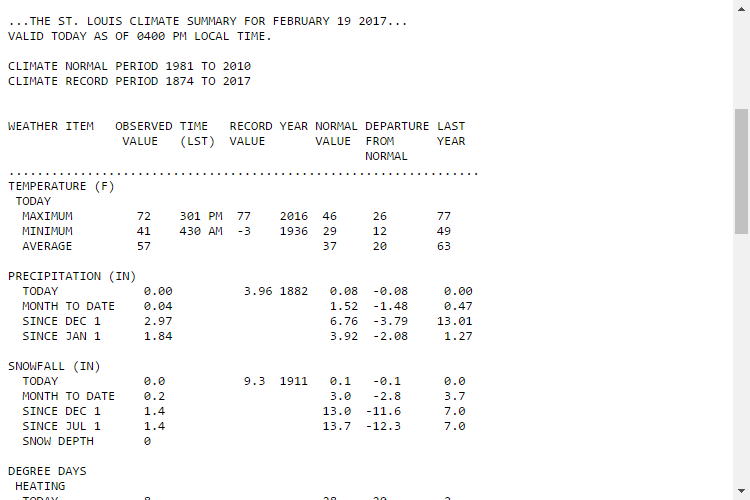 The high temperature for St. Louis on February 19th was 72°. 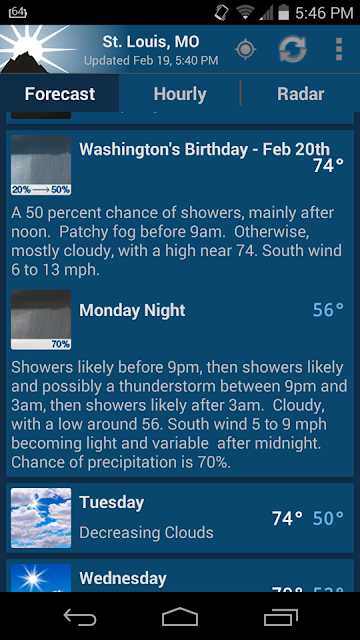 While this is the forecast for February 20th.